Let me start by saying that I DON’T CRAFT. �Seriously. �I never got that gene. �My sister and my Mom did though… and they are the most creative people I know. �They both have these amazing minds that come up with crazy ideas that are fresh and just spectacular. 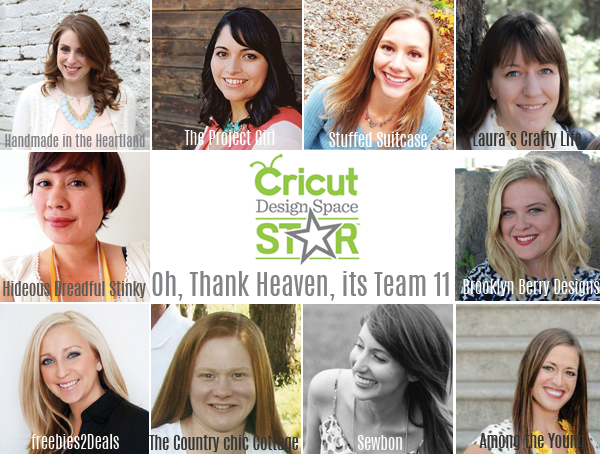 So now that you know that about me….. that is exactly why I wanted to be involved in testing the Cricut Explore and trying it out. 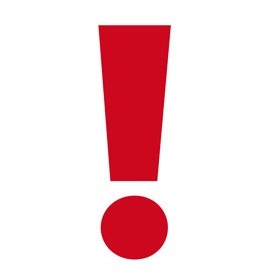 �If you want a real review from someone who has no idea what they are doing, that would be me! �And if I can do it and create an awesome project like this—-all of you guys can too! Use your JoAnn Fabrics, Michael’s or Hancock Fabrics Coupons to help you save! �**You can also shop these stores�online and it might actually end up being cheaper with Free Shipping Minimums. �Or the shipping cost may be cheaper than gas for you. They all have coupon codes online to save even more money on a regular basis as well! Shop online! �You can usually get all of the items you need from Amazon at�really great prices.�Plus, remember that with Amazon Prime your order will ship free. 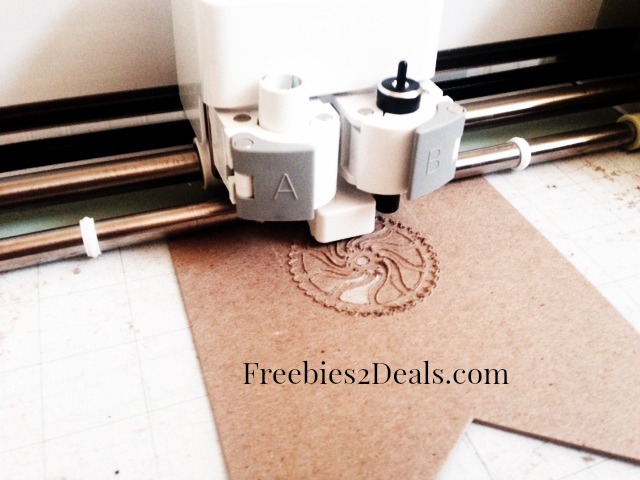 Or, if your order total is $35 or more, it will ship free too! You can get Amazon Prime if you�sign for Amazon Mom�(It�s a FREE 3- month trial),�or by�signing up for the Amazon Student Program. 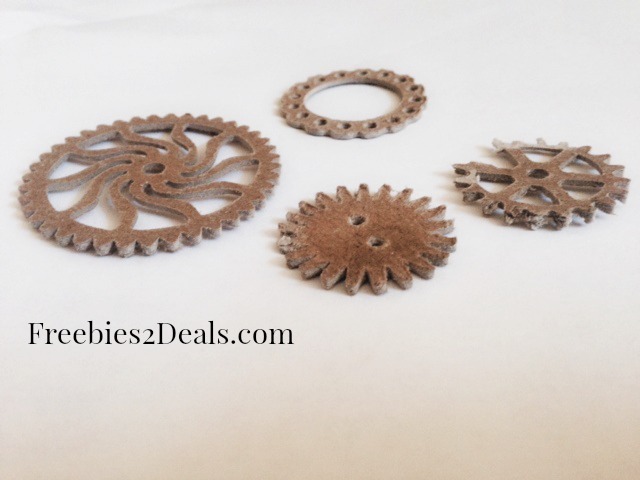 Step #1: �Open up Design Space in Cricut and download this SVG file of gears you can use for your necklace. 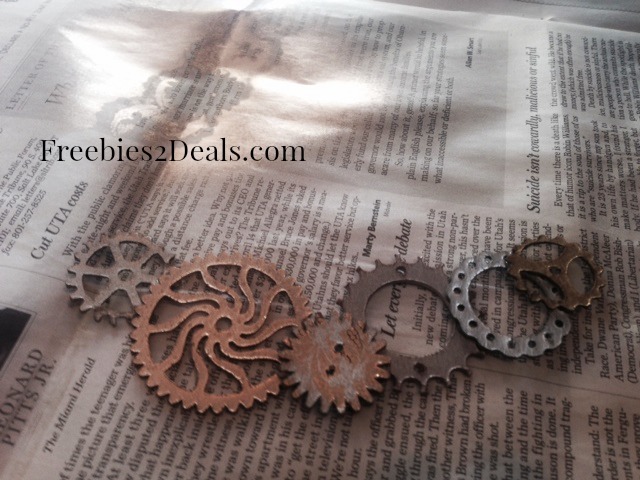 Step #3: Once you have cut out your gears, start spray painting. �Having multiple metallic colors makes the necklace look like actual gears. �So have fun with it! OPTIONAL Step #4: You can take that scrap piece of lace I talked about above and lay it over your gears to imprint a lace pattern. �It adds a little dimension. 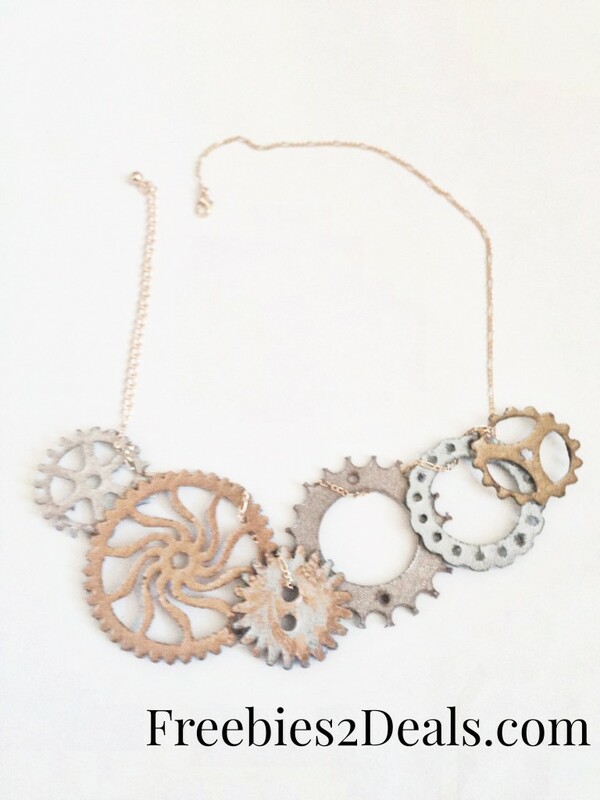 And if you choose to spray paint lace patterns on all of the gears, you will get a more feminine vibe on your necklace. �I opted to do the front and center gear with a lace imprint so you can see the difference. Step #5: �Lay out the gears in the order and pattern you want for your statement necklace. Then use your E-6000, Super Glue or whatever you have to glue the gears together so they don’t come apart. �I wouldn’t recommend a glue gun. �It won’t hold it well enough. 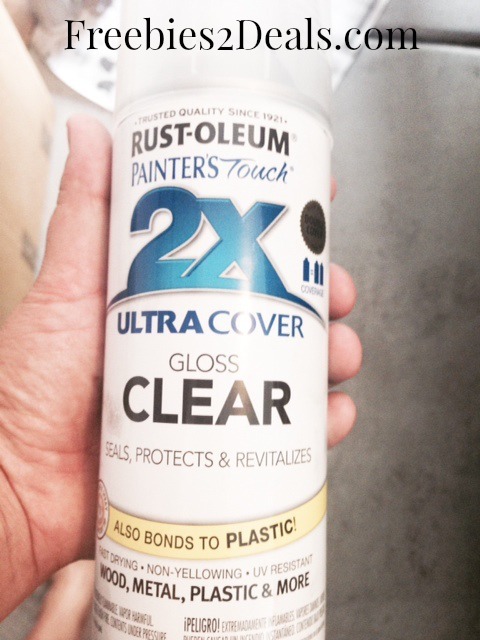 Step #6: Spray your entire necklace with Rust-Oleum Painters Touch 2X Ultra Cover CLEAR Gloss. �Let it dry. �Then flip it over and spray the back. �This should help add a final layer to keep the spray paint on and give the necklace a little more strength and stability. 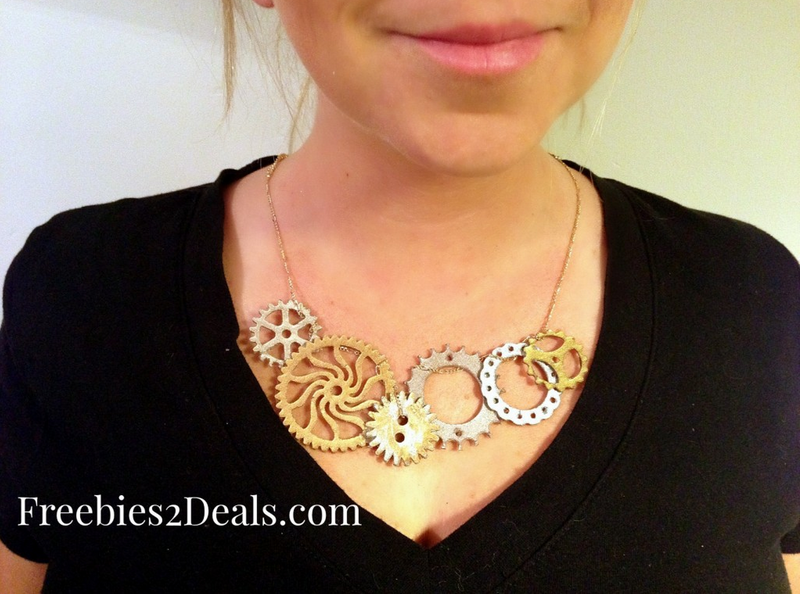 Step #7: Weave your chain through your gears to complete the necklace. Pretty simple, right??! �One thing to note is that since we are using Chip Board, this necklace isn’t going to be indestructible like a real gear necklace. �So you will want to keep this baby away from your kids and keep it in a safe place. **If you don’t have time to do this project now, Pin it for later. Make sure you check out all of their projects! 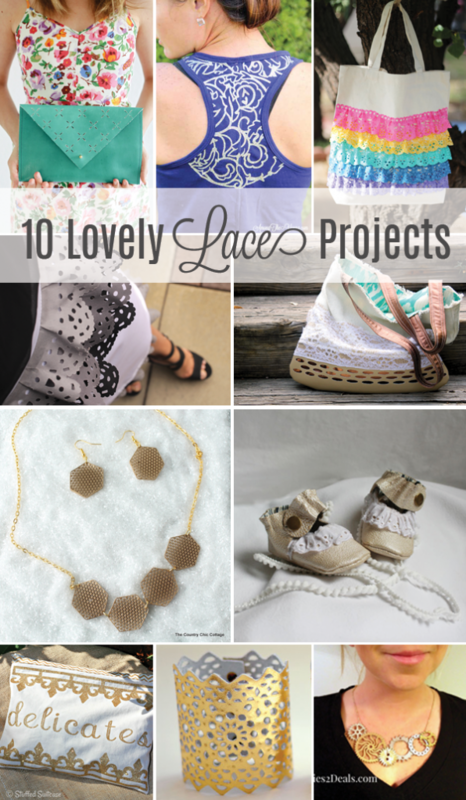 �These guys are actual Craft bloggers, unlike me, and had some awesome ways to incorporate Lace using the Cricut Explore!